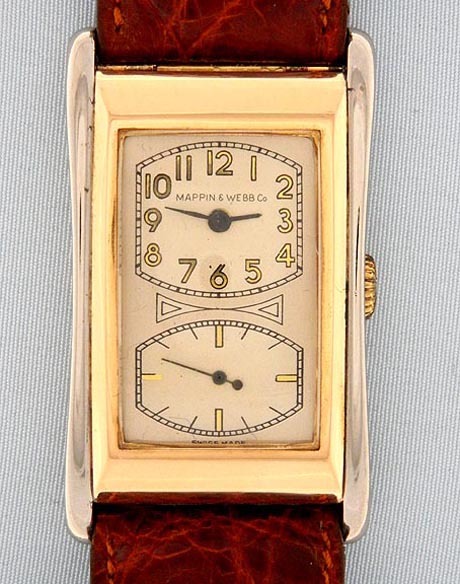 Fine and rare oversized Swiss 18K white and yellow gold doctors watch circa 1935. 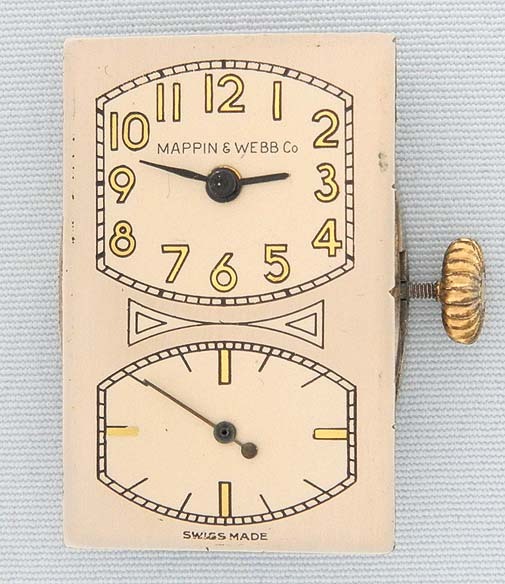 Silver dial with gold numerals and blued steel hands, with the name of the London retailer. 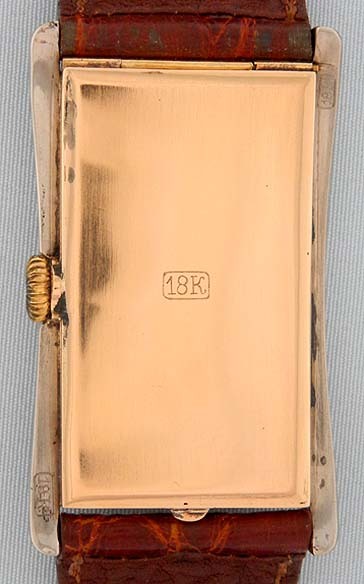 Handsome oversized curved hourglass case with hinged back. 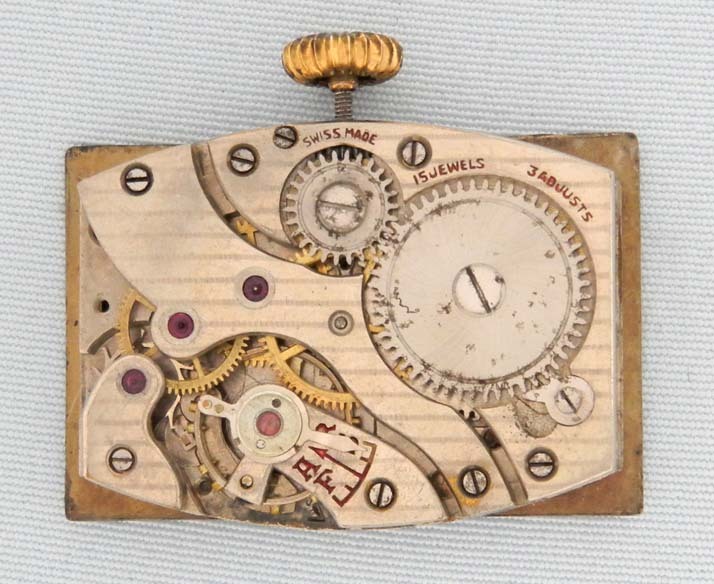 Nickel 15 jewel 3 adjustment movement with very light surface scratches. 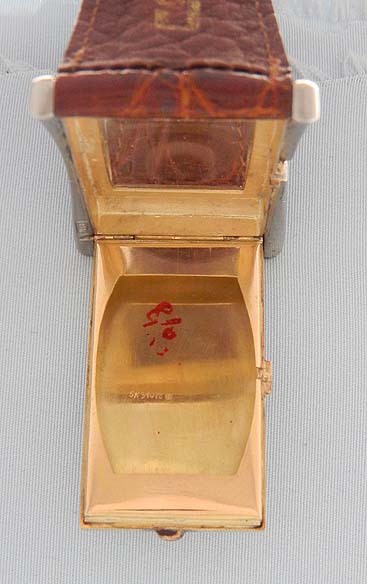 This is the largest vintage doctor's watch we have seen.